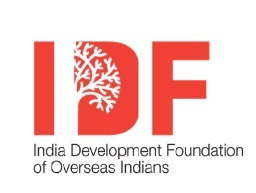 India Development Foundation of Overseas Indians (IDF-OI) a not-for-profit Trust promoted by the Ministry of Overseas Indian Affairs (MOIA) is to serve as a single window for overseas Indian philanthropy into India. IDF-OI is exempted from the application of the Foreign Contribution Regulation Act (FCRA) and provides the vast and diverse overseas Indian community. A credible institutional avenue to engage in philanthropy and social entrepreneurship to supplement India's development efforts. IDF-OI is offering projects pertaining to Swachh Bharat Mission, Clean Ganga Mission and projects in States of India, for philanthropy/contribution by Overseas Indians. A vast pool of projects are available in areas of Education, Sanitation, Healthcare, Women’s Empowerment, and Sustainable Livelihood in Rajasthan, Karnataka, Punjab, Madhya Pradesh, West Bengal, Chhattisgarh, Uttarakhand, Maharashtra, Bihar, Sikkim, Jammu & Kashmir, Odisha, Andhra Pradesh, Tripura and Mizoram. Kindly note that IDF-OI does not recover any administrative cost from contributions received from Overseas Indians. We invite you to select projects of your preference to which you would like to contribute. You can now contribute online to projects pertaining to Swachh Bharat Mission, National Mission for Clean Ganga (NMCG) and projects in States of India through IDF-OI’s website: https://idfoi.nic.in/contribute.aspx. You can either contribute to IDF-OI Pool Fund or to projects in your preferred State or Sector. You can contribute as an individual, or a group of individuals or even through your respective Indian Associations.